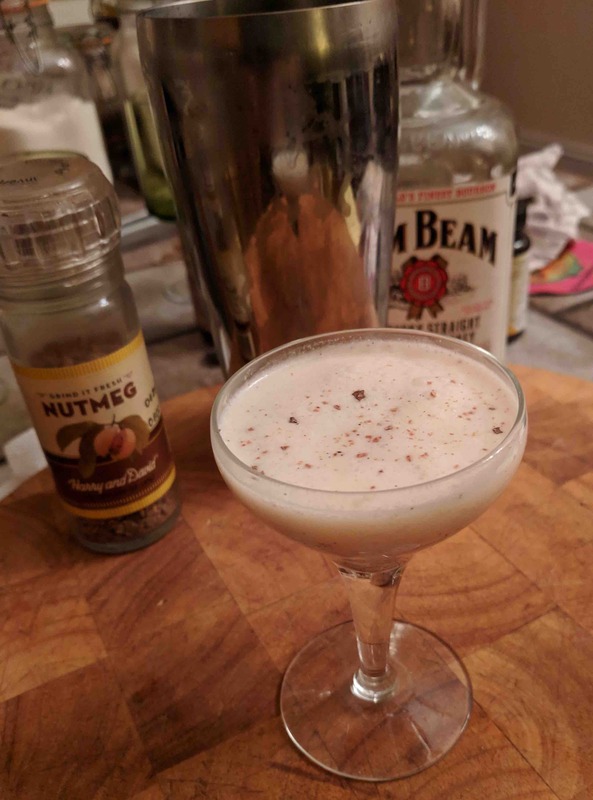 This cocktail has a nice warmth from the bourbon which is a lovely contrast to the decadently rich combination of milk and cream. The hint of vanilla makes this really taste almost like dessert and definitely like more. I’m really enjoying the vanilla paste Michelle got for me – it has vanilla seeds in it so it is a step up from regular vanilla extract but not as pricey as vanilla bean pods. Combine milk, cream and powdered sugar in a container with lid. If using a vanilla bean, slice in half and run the back of the knife over the interior to remove seeds. Add vanilla beans and pod to the jar and seal, shaking vigorously to combine. If using vanilla paste or extract, add it and shake well. Refrigerate up to 3 days. To make the drinks, mix 3 parts vanilla milk with 2 parts bourbon. Place in a shaker with ice and shake vigorously. Pour into glasses. Garnish with freshly ground nutmeg, if desired.